Jack Horne: Though I walk through the valley of the shadow of death, I will have no fear! It had all the ingredients to be great but instead it is merely just "OK". Antoine Fuqua's The Magnificent Seven is about as brazen as the cowboys it portrays. It is loud, visceral and action packed but lacks the necessary functions for it to be a truly great film. Despite Fuqua's most confident directing and Denzel Washington's excellent performance, the film ends up being as cluttered as the cast would suggest. When it all comes down to it, it is a matter of an overload of star power. While there have been films in the past that have had incredible casts and flourished, this film makes it feel as though the film is only big enough for one star. Chris Pratt is great as an alcoholic and incredibly ballsy gunslinger, Faraday, but he lacks any gusto to really command the screen as does most of the cast outside of Denzel Washington (someone who I can't say enough good things about here). It ends up feeling like these roles could have been played by anyone when it should have felt like these actor's owned these roles so much so that you can't imagine anyone else in it. Unfortunately that isn't the case here. Quite frankly, the only performances worth noting are Washington and Peter Sarsgaard, who gives a devilishly good performance as a sadistic law man. In this respect, the film is very much a disappointment for anyone expecting to see the next great ensemble film of the year. More importantly, those of you who were excited to see the re-teaming of the Training Day squad (Washington, Hawke and Fuqua) will have to wait a bit longer for that because there is barely any chemistry between Ethan Hawke's Goodnight Robicheaux and Washington's Chisolm. The screenplay, written by True Detective's Nic Pizzolatto and action aficionado, Richard Wenk is lackluster to say the least. As I said, the character development with the characters is either not there or so forced and unnatural that it takes you out of it. After the abysmal season 2 of True Detective and this, I think is safe to say that Pizzolatto is turning into the one hit wonder that everyone feared that he would be. However, I will still hold off on officially saying that about him because there are some ideas that were introduced in the film that were really interesting which is why it is all the more frustrating when they are cast aside and never touched upon again. The screenplay is the big problem here. It is well paced but emotionally hollow. It never really reaches anywhere near the heights of the Kurosawa masterpiece or even the 1957 remake that that film spawned. In this case, the script reads and sounds like a bad imitation. 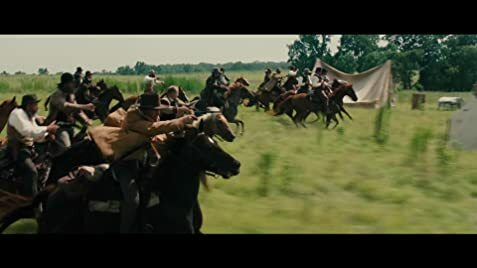 Despite this, The Magnificent Seven does boasts some pretty exceptional action set pieces much to Fuqua's credit. The film is explosive but it is highly predictable. Those who are killed don't really resonate with the viewer because quite honestly, we don't care about any of the characters outside of Washington. They are mere footnotes to the larger picture which is a monumental disappointment. 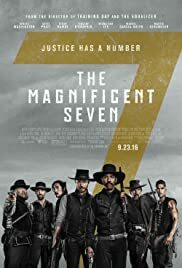 Overall, I thought that Antoine Fuqua's The Magnificent Seven boasted a great idea and never truly capitalized on it. The film felt like it really could have been something but we are left holding on to the idea of what could have been. 168 of 309 people found this review helpful. Was this review helpful to you?